We hope this letter finds you well, and that your final preparations for Christmas Eve are going smoothly. Hopefully you remember us as the running columnists from Monterey County who wrote you last year with a wish list of things that could make us better runners. We’ve had a pretty good year, Santa – but we’ve also seen a lot of things that make us sad about our favorite sport, and we’re hoping that you could help us somehow this year. Incidentally, many other sports face the same problems that running does, so if you can fix these things, you’d have the admiration of millions of sports fans around the world. (Not that you don’t have that already). We believe in you, Santa, and we want to believe in our sport also. Unfortunately, this seems harder to do with each passing year. In light of this, would the following things be too much to ask? Belief in records: Here’s how bad things have become: whenever we see a record get broken, or witness a performance for the ages by a star athlete, our first reaction isn’t to say, “Wow, I’m watching history!”, but to ask, “I wonder what he’s using to perform so well.” This happens with alarming frequency in nearly every sport. Who was the last truly clean 100-meter dash world record holder, Tour de France champion, or baseball home run king? Nobody knows for certain – which makes every current and future record a cause for skepticism rather than celebration. Honesty from cheaters: Last week our newspaper printed a “naughty” list of 85 baseball players who are thought to have used drugs. Guess how many admitted intentional wrongdoing, Santa? Precisely zero. Humility from professional athletes: Santa, don’t you think someone like Alex Rodriquez could just say, “Honestly, I can live quite comfortably on 20 million per year instead of 27 million; why not use the leftover money to reduce admission prices by 10 bucks, or to give free tickets out to kids? 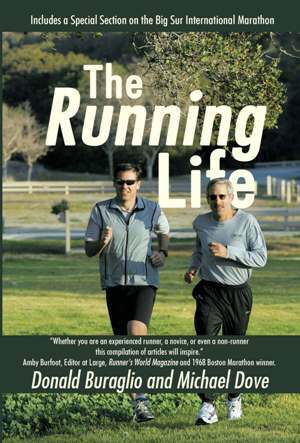 Respect for runners: It seems like there’s always been this notion that distance runners are the misfits of the athletic world, since they don’t often participate in more glamorous sports like football or basketball. But take it from us, Santa: distance running is hard work. Cross-country is a brutal sport – and the runners are just as intense and competitive as any 220-pound linebacker. They push themselves beyond boundaries of pain that most other athletes dare not approach, and they do it almost anonymously. We’d just like more people to understand that. Well, Santa, you’ve got your work cut out for you. Sorry to make this list so challenging, but we figured that we’d rather have meaningful change rather than toys and gadgets that we don’t really need anyway. We know we won’t get everything we ask for, but anything you can do to make the world a better place for runners would be greatly appreciated. Thanks for your time, Santa. Have a safe flight on Christmas Eve! Financial advice is probably the last thing you would expect to find in this column, especially after we disclose that neither one of us are financial experts. However, the end of the year is a great season for last-minute donations to ease your tax burdens and to put you in the giving mood for the holidays. And since we have no idea how many runners read the business section, we thought we’d share some advice with you here. JUST RUN. This great youth program developed by the Big Sur International Marathon helps fight the youth obesity epidemic. The award-winning program is in 40 schools in Monterey County and expanding nationally as well. It teaches students to love physical activity, to be good citizens, and how to strive for goals and reach them. The program is provided free to schools and youth groups, and depends on grants and personal donations. Over 10,000 children are expected to enroll this year. See www.justrun.org for more information, or send donations to “BSIM JUST RUN”, PO Box 222620, Carmel, 93922-2620. Call 831-625-6226 for more information. WNLR SCHOLARSHIP FUND. Since 2001, the famous (to us, anyway) Monterey Bay Wednesday Night Laundry Runners club has provided over $35,000 in college scholarship money to deserving high school seniors. Last year, $9,000 was awarded to 8 students from several local schools. The scholarships are based on academic achievement, leadership, running ability, and financial need. 100% of your donation goes to these deserving students. Send donations to the WNLR Scholarship fund, 24630 Avenida Principal, Salinas, Ca. 93908, or call 831-905-4301 for more information. MONTEREY HIGH SCHOOL FIELD AND TRACK RENOVATION. The public/private partnership to upgrade the field and track facilities at Monterey High School has been ongoing for over 5 years now. Almost $1,000,000 has been collected but the cost of the project requires approximately $250,000 more. Go to www.montereyhightradition.org to look at investment opportunities and find out more about the Honor Wall or other ways you can help. Call Principal Bedell for more information at 831-392-3833. YOUR LOCAL HIGH SCHOOL RUNNING TEAMS. You don’t have to look any farther than your nearest school to find a worthy charity donation. Nearly all track and cross-country programs are chronically underfunded in school budgets, especially in comparison to larger sports. Every team needs uniforms, travel money, and other training gear. Some Monterey County schools can barely afford shoes to allow students to race. Call your local high school and ask for the track or XC coach, and they’ll be happy to accept your donation. DONATE YOUR OLD RUNNING SHOES TO THE TREADMILL. The Treadmill in the Carmel Crossroads shopping center has been collecting used running shoes for many years. The shoes are delivered to impoverished areas, including a recent shipment to Guatemala with the local Dentists Without Borders group. They also are given out locally to low income families in Salinas and the Monterey Peninsula. So don’t discard your old running shoes – they might be a great gift for a family in need. ENTER A LOCAL RACE. This is the fun way to donate. Sometimes we forget that virtually all local races are fundraisers for worthy charities. So whether you are a walker or a runner, and even if you don’t feel like racing, go ahead and enter a race. GIVE THE GIFT OF RUNNING. This one’s not tax-deductible, but it’s the best gift you can give. As you think about your year-end donations, consider encouraging or coaching someone close to you to start a running program. There’s no kinder present for a loved one or a friend than health and vitality. On behalf of all of these worthy causes, thank you for supporting the local running community!